Will AI end fraud in telecoms? Will the chatbot be a game changer in the customer experience? 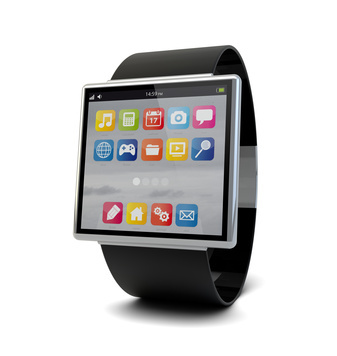 Wearable devices are certainly not new, take watches for example, however the newer varieties are suddenly becoming pervasive and may outnumber mobile phones within a few years. There are many drivers for this explosive growth but the ability for them to monitor body functions and be connected continuously to cloud services on the internet via wireless suddenly makes them invaluable – maybe for the wrong reasons. Not unlike the connected car, the connected body is able to send masses of data being collected by inbuilt sensors to a central repository that will be able to monitor what the body is doing, remind the wearer to take medication, inform them if they are exceeding physical thresholds, warn of impending health issues and even track down the person’s location in case of emergency. With the imminent release of Apple’s attack on the wearables market, the so-called iWatch, we are told to expect at least ten sensors watching over our every move. Knowing Apple, it will probably coordinate all this data through a series of applications already in place and yet to be released, then up to the cloud for ‘other’ purposes. The data being collected will have tremendous value because it could be ‘sold’ to any number of prospective suppliers that will be keen to sell the hapless device wearer any number of aids to help them achieve a better lifestyle, or longer life. Insurance companies will be able to gauge risk and, therefore, calculate tailored premiums for health and life cover. Law enforcement agencies could track suspects using the inbuilt GPS functions. Health clubs will be able to market direct to those that need their services most. Shoe suppliers will know the walking habits of the wearer, others will know when we are happy or sad, etc. etc. The list goes on and on. Is this what the purported Internet of Things (IoT) will really evolve to or are we entering an era where massive, and potentially dangerous, levels of really personal data will be unwittingly or even knowingly exposed and probably sold on. This raises the question of where private data privacy and security begins and ends and if there adequate regulations in place to protect it. As technology continues to outpace our ability to regulate you can almost guarantee that we, as individuals, will have our data spread far and wide by enterprising device makers, app developers, OTT players and maybe even network operators. Even with today’s wearable market in its infancy we are seeing examples of private data being utilized for marketing purposes and that may not be a bad thing for people that opt for it. The issue here is that there is no obvious way to opt out, either. Much like SMS marketing in the past, regulators had to introduce ‘opt in’ long after consumers were attacked with countless marketing messages to their handsets. The incredible depth of informative data that wearables collect will l probably see them given away soon, as long as the wearers agree to have their data collected and sold on. But then it starts to get very messy. Of course, regulators and governments may be happy to drag their feet on this one until they see how they can benefit. It’s only a thought, but after the Edward Snowden exposé they may just be looking at new ways to snoop on their citizens. Perhaps the biggest threat lies with enterprises. The potential security issues emanating from BYOD is only now starting to hit home with some companies finding their innermost working exposed by rogue apps on devices their staff bring to work. Thinking ahead, maybe wearables will be even more ‘exposing’ of the way staff work and are treated or they may be even be fitted out with snooping sensors themselves. Whichever way you look at it, privacy and security issues surrounding wearables need to be reviewed now, and not after we see another major headline exposing the dangers.